In four years, the number of Minnesota stations selling 88 octane gasoline has gone from zero to more than 200. Many Minnesotans have become fans of a fuel that provides more octane but is usually priced lower than regular unleaded. In the fall of 2013, only one station in Minnesota offered the 88 octane gasoline choice, Penn Minnoco in south Minneapolis. 88 octane gasoline is sometimes referred to as E15, because it takes advantage of a little more ethanol than our 10% regular gasoline to boost octane and lower the price. When it was first rolled out to the public, it generated a lot of interest, both in the news media and among drivers eager try the new gasoline-ethanol blend. 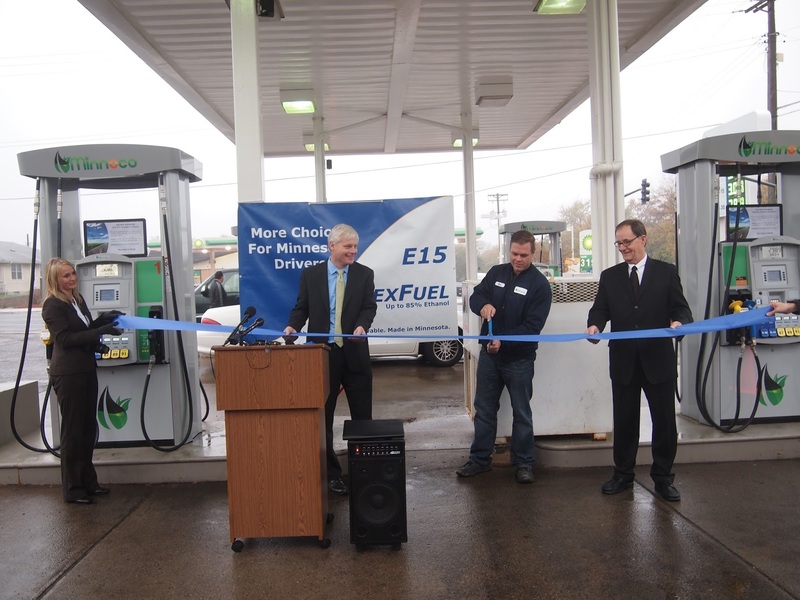 Soon stations across the state were adding new dispensers and offering both E85, for flex fuel vehicle drivers, and the new 88 octane gasoline blend for drivers of vehicles 2001 and newer. Five stations were selling it after one year. Thirty more added it the next year and the total almost doubled the next year. In 2017, we may see as many as 150 locations add an 88 octane fuel by the end of the year, driving Minnesota to the front of the pack of the number of station offering the fuel choice. To find your nearest station, use our 88 Octane station search function here.